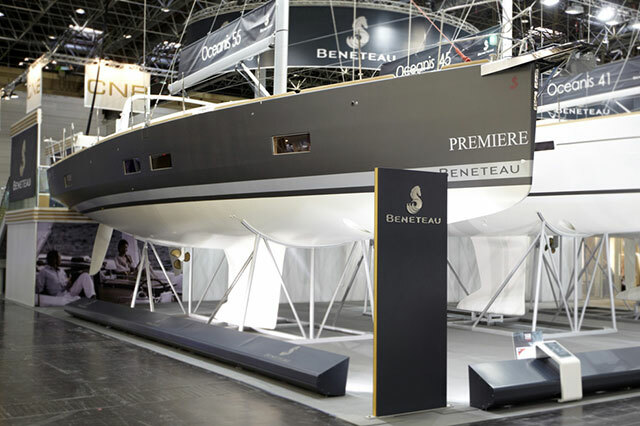 The Berret/Racoupeau design premiered at the Salon Nautique in Paris back in December and Hull # 1 made it to the show floor in Dusseldorf. 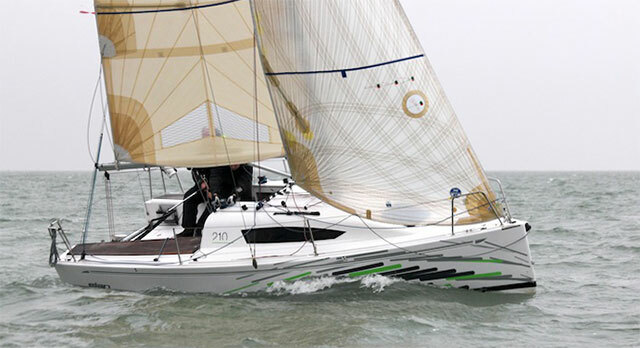 It follows the new trend, which started with the smaller Oceanis models that were launched already. It includes more volume aft, hard chines and twin rudders to prevent loss of steerage when the boat’s wedge-shaped hull is heeled. For the same reason the mast and the center of effort in the rig were moved aft as well. 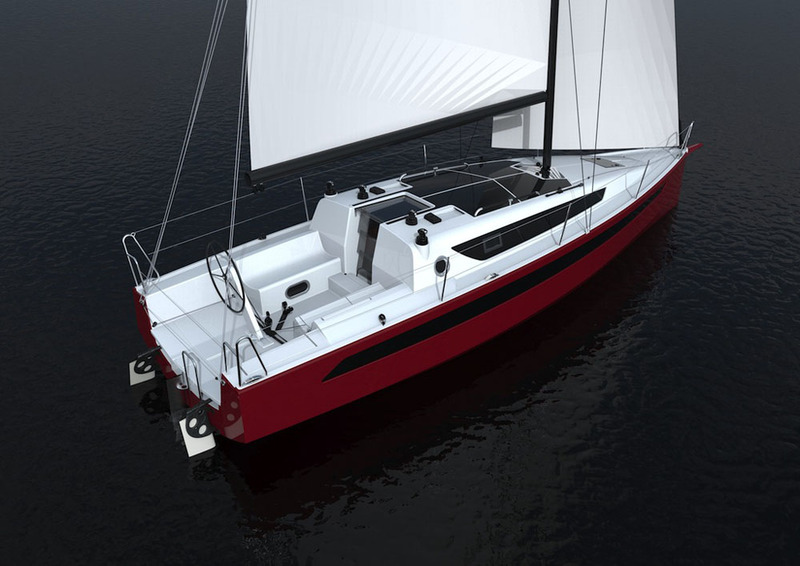 Just as the other new Oceanis models, the 55 is equipped with a mainsheet system that’s attached on the targa wing high above the cockpit to free up more space for the deck arrangements. Stepping on board at the show the first detail that catches the eye is the positioning of the primary winches, which were moved inboard from the coamings, close to the centreline in the cockpit, because of the reeving of the sheets. 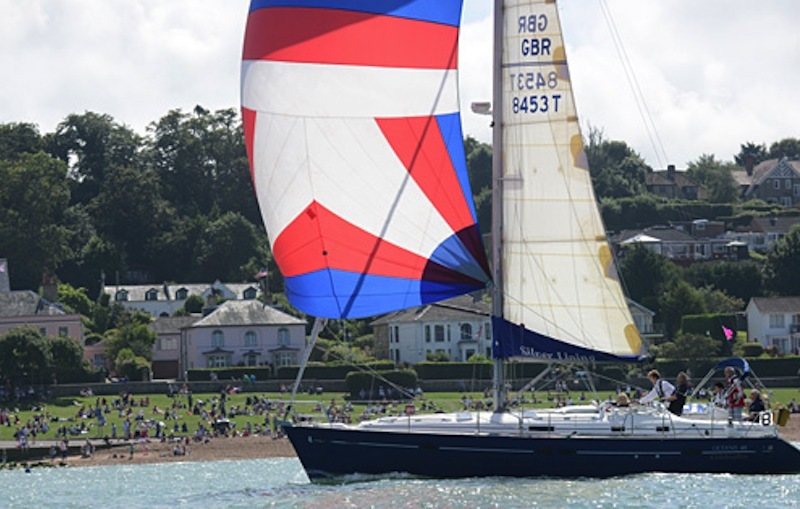 The helmsman now can comfortably adjust all the sails without leaving the helm. 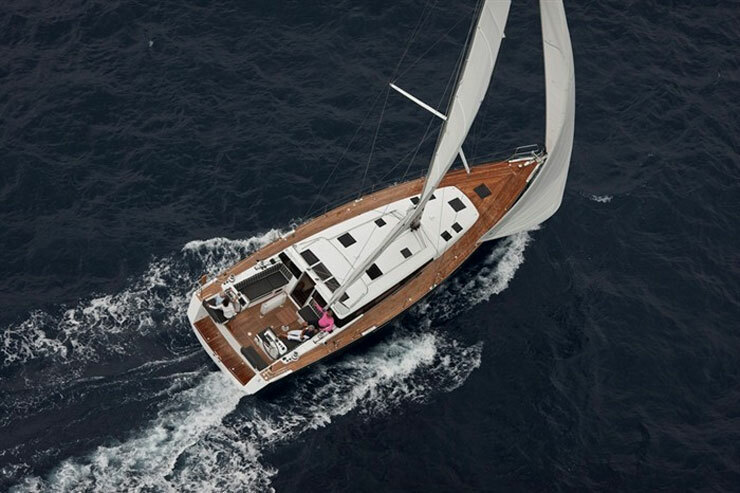 Beneteau says that large boats like the Oceanis 55 now are increasingly handled by two people. 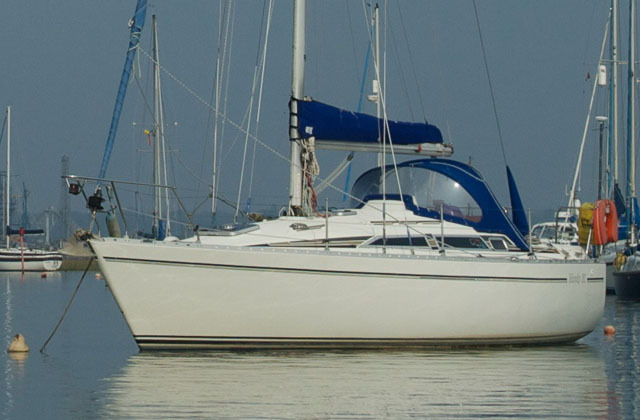 The new cockpit was designed with comfort in mind, featuring lounge areas on the cabin top on each side of the companionway, which thus far has been common on catamarans. With a cooler that’s integrated in the table, the cockpit space appears generous and open. Whether there are enough handholds and foot braces when sailing is an entirely different question. 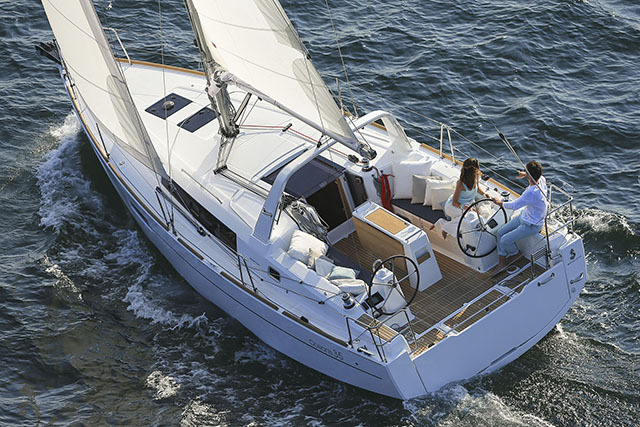 Because customers demand more comfort under sail, says Beneteau, the new and wider hull shape should offer advantages in that respect. In “normal” conditions, meaning medium wind, which is when crews are most likely to get under way, the increased form stability should help the Oceanis 55 sail more upright than her predecessor, the Oceanis 54. The model that was on display in Düsseldorf is the three-cabin version, which will be preferred by private owners. Even though the owner’s stateroom forward offers the most space and a separate lavatory, the aft cabins still are large and spiffy. 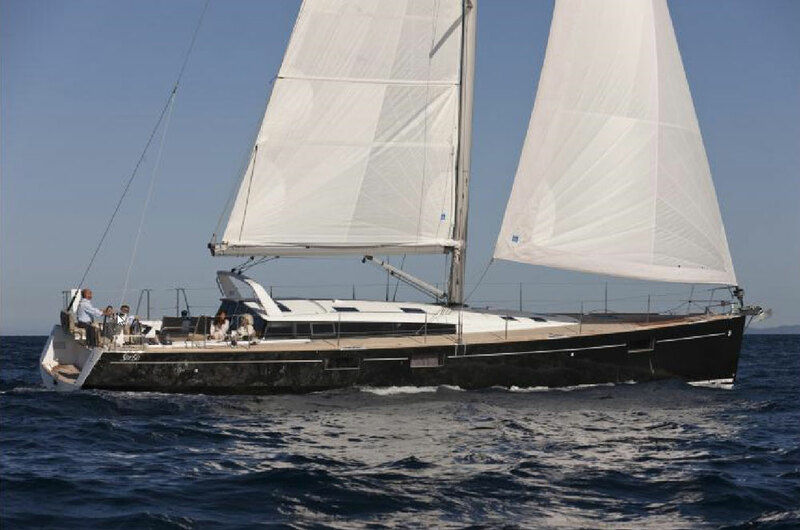 Beneteau wanted to offer a hint of megayacht ambience on a boat of this size, which explains design gimmicks such as the foldaway flat screen monitor in the saloon. In addition, the matte anthracite gray and the hard chines of the hull are suggestive of style and size commonly seen in much larger boats. There are several interior layout options. In addition to four or five cabins for charter, there are choices for the size of the lavatories and the position of the galley. 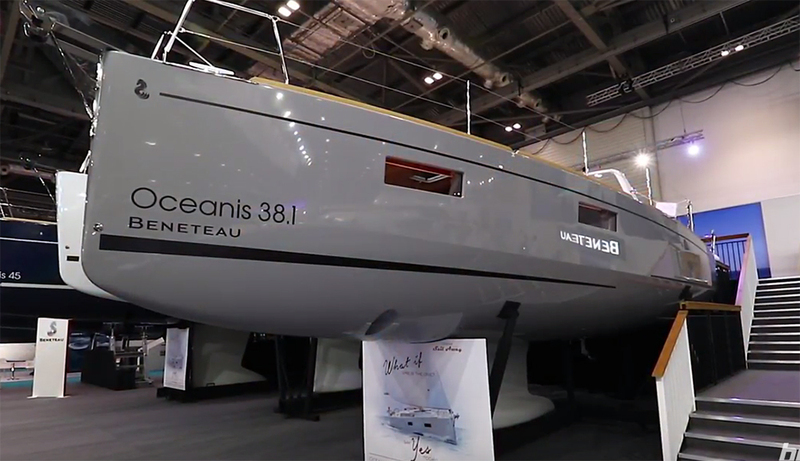 Obviously, customers have taken to the concept, because according to Beneteau, 15 boats are on order already, even before anyone had a chance to take the Oceanis 55 for a test sail.